Sangyé Yoga School has been hosting Jivamukti Yoga classes since 2005. Sangyé Yoga provides a space for independent Jivamukti Yoga teachers to teach yoga classes & workshops. The schedule features more than 50 weekly classes, by the most experienced Jivamukti teachers in London. 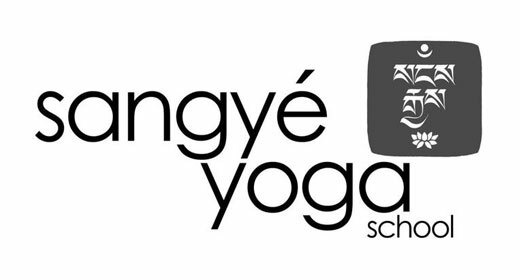 Yoga classes held at Sangyé Yoga School are vigorously physical and intellectually stimulating on diverse levels. Most classes will move fluidly through a vinyasa (breath and movement integrated) framework, while at times the teacher may require the student to hold asanas for extended lengths to move deeper in the practice. Classes typically include Vinyasa (flowing asana sequences), chanting, Yogic philosophical teachings, Pranayama (breathing exercises), hands-on assists as a teaching tool, meditation, and culminate with a deep relaxation. To keep the practice inspiring, asana sequences are ever-changing except for the signature Jivamukti class called Spiritual Warrior, which is a set sequence. Open classes are 60-90 minutes and open to an intermediate/advanced practitioner or adventurous beginners. We do however, highly recommend that students who are new to yoga attend the basics classes to become familiar with fundamental aspects of the practise, feel more grounded as well as learn safe alignment from the start. After a few months, a student can join the Spiritual Warrior class to learn and experience, through the repetition of a set sequence, the fluidity of a led vinyasa class.